Recently I reconnected with a friend I had not seen in a decade. He is an old RPG buddy and we got into talking games. I try to stay informed and am an avid collector of RPGs. He did play some but generally has no idea what has happened in the last 10 years or so. That got me into thinking. What are the RPGs and RPG Supplements that have influenced me in the last few years? Which are my favorite books and why? This is a question harder to answer then I had anticipated. When we last saw each other about 10 years I was still running DnD 3.5 mostly. There was definitely a journey that changed my perception of how an RPG works and how one can play and run them. There is no ranking to the below, it is just a collection and I simply ordered them alphabetically. As you can see there are no story games there. I simply do not like them; RPGs need some level of crunch and a GM with certain authority for me. The list was supposed to have 10 entries only, but I just could not decide. Think of this as a top 10 list with 2 free bonus entries! Wherever possible I did link to the free version of an RPG to make it easier to dive in directly. Lets start with part 1, the first 6! While I like my RPGs to have a bit of crunchiness to it, this little gem showed: Yes, you can have a complete RPG on 2 pages. It is a clever achievement and I am a fan. The perfect beer and pretzel mini RPG. Gramel did a great job of distilling an RPG to a simple structure that has enough meat to be entertaining for a while. And with some room for character growth as well. I especially appreciate their various settings, also on 2 pages. They are a lesson in brevity while still transporting what a game is about, a skill I sorely lack. And it shows that a setting does not need hundreds of pages to transport an idea. I think my favorite settings are “Dawn of Tomorrow” a post-apocalyptic one and “Dark Camelot”, as the name implies a bit darker twist on the Camelot myth. They all are great and contain just enough background to get my mind into gaming gear. And hell, they all cost around 2 USD! This one is interesting. It is pretty much a game in the old school vein, but has a very simplified mechanic. Roll ad d6, on a 5 or more you succeed. There are of course some more bits and pieces to it. I especially like the idea of “impromptu” skills. There is no defined skill list; everyone can simply turn any task they succeeded in into a skill if they want to. When you have done so, you can use this skill for the task instead of a basic 5more roll. The most interesting part is the way you increase a skill. With every success there is a chance you get better at the skill, similar to Elder Scrolls “get better with use” approach. Check out the free PDF for details. It has some nice ideas I want to incorporate into my games. Oh, what great adventure I had with this! I Discovered BoL when my gaming went online for a while because I had moved. I needed an easy and quick system that did not require many rules and technical support to run online. I first tried Savage Worlds, but that was too complicated with the fiddly bits, tried BBF and finally came to BoL. It is still one of my favorite systems around. It takes what I liked about BBF, namely classes as skills, put in a dice mechanism that worked out of the box in a Hangout and turned up the action to 11. There is no game I can think of that better portraits action like in a Conan novel. Sword and Sorcery is BoL for me. It is an incredibly easy system to pick up and run with. The free magic system is a bit of challenge for me though, but I like the idea behind it. There are no spells only power levels and the player can simply devise anything he can imagine. At 5 USD this is a total steal. I also highly recommend you check out Honor & Intrigue , the Swashbuckling RPG based on BoL that turns it into the best RPG representation of that genre I have seen. I am trying to remember when I discovered this game. I believe it was the cover artist Eric Quigley who shared the cover image that got my attention first. This game was my next stop after Savage Worlds. It includes classes as skills and uses a simple d% system. 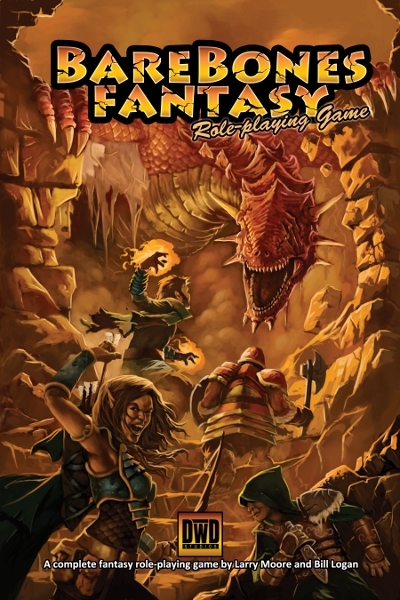 The percentile system is the main reason the Fantasy version never quiet clicked with me, my personal taste requires various polyhedral with my fantasy. If you are a reader of my blog you may have heard about this one before because despite my hesitation because of the resolution mechanic I have gushed about it and wrote several mini settings. It is a great game and still one of my favorites. The simplicity of the system makes it easy to hack and it feels quiet “Old School” in play. There are ample adventures available and the setting is again one in a format I like. Some detail, but not too much. Another good reason to look at this is the license; the game uses the Creative Common License (Attribution Noncommercial ShareAlike 3.0 Unported License. Personally I like their Covert Ops Espionage RPG a bit better than BBF, but had BBF first. Both use the same system so you can easily smash them both together for a Shadowrun game if you are so inclined. They also work on a Sci-Fi version of it, and I hope they release it soon. Sadly their publishing has slowed down tremendously after a furious opening. Not sure if the sales did not warrant more books? It is a shame really, because the writing, layout and artwork is fantastic and does not need to hide behind products of bigger names, quiet the contrary. Check it out if you can, the books are fantastic and well worth the 10 bucks asking price. 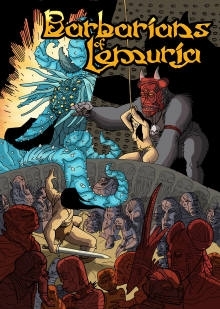 This one is unique in that it is the second entry from a publisher: Gramel that also publishes Adventurers. 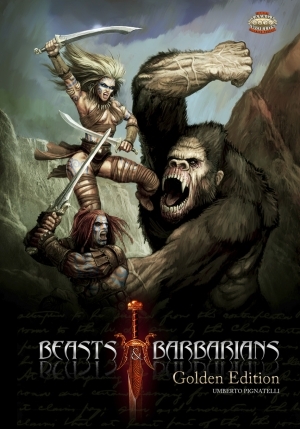 Beasts & Barbarians is the Savage World version of Conan so to speak. The setting oozes style and is almost a cliché itself. But it never quiet crosses the line for me. It is a near “perfect” setting book for my tastes. There is setting information but not so much that it suffocates you in detail, and not so little you basically need to invent everything yourself. It strikes a nice balance with just the right amount of material to get you started. The 44 pages of setting are concise without losing character. They provide color and atmosphere to get you into the right frame of mind and transport you into this world. Almost on every page you will find something to inspire you or a plot seed. If you want to run a Sword and Sorcery game you could do far worse than using this, even when you ignore all the Savage Worlds specific stuff. This game was the first that “got me” as a GM. The underlying mechanics are strictly old school DnD and as such easy to understand for probably most people who ever player it. There is some neat deviation, like the Magic Rules with its split of spells into Cantrips (Cast at will with risk), Spells (Classic slot casting), and Rituals (Powerful but take hours to complete). There was no DnD 5E yet when it was released if you think it came from there. But the most impressive addition to the OSR toolbox is the adaption of playbooks that are common in many modern, more story focused games like Apocalypse World. In BtW they allow you to choose a background like “The Village Hero” or “The Witch’s Prentice” and create your character randomly with a few tables. Not only that, while going through the playbook you forge a shared back story with the other player’s characters and at the same time create the adventure area map and important NPC. 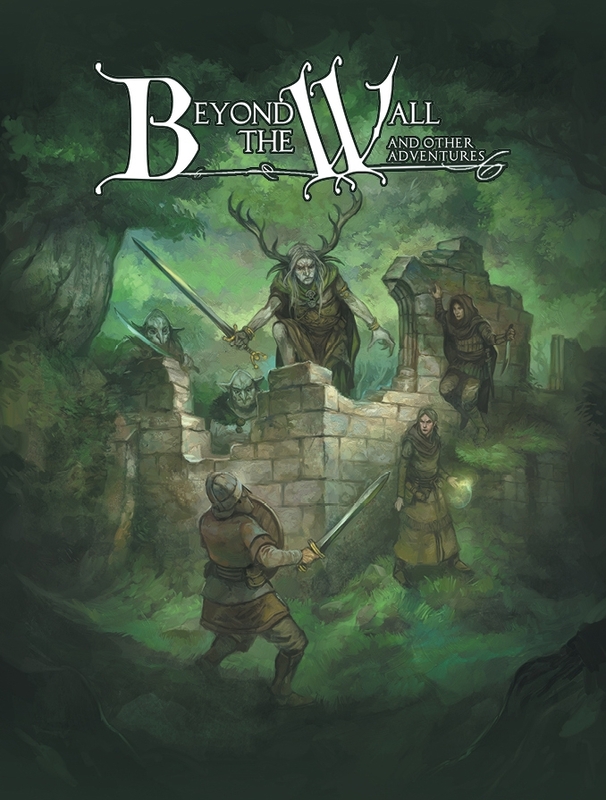 Beyond the Wall focuses on single session no prep play and to do that they use the “Scenario Packs”, a collection random tables that are linked by a common thread and try to simulate a specific adventure like “The Hidden Cult”. Into these scenario packs you enter the NPC, items and locations that the players create. Rolling on the random tables generates the framework of the adventure, the good and bad guys as well as the hook. Every scenario also includes fitting NPC and monsters, ready to use. You can create the characters and setting in 1 hour and then can play the resulting adventure in whatever time you need. It is easily doable in three hours, but I stretched it to 20 hours as well. My players and I learned shared setting creation from this game and the scenario packs are exactly what I need from an “adventure”. Focused enough to give the sense of direction but random and open to inspire you and help you to improvise. They recently released a supplement called Further Afield that extends setting creation from a village with surroundings to a whole campaign area. Beyond the Wall is a great game and my favorite OSR RPG at the moment. This concludes Part 1. I will post the second half in the next few days. What do you think? Do you own any of the above? Great list. I think we might be looking for similar things in our games as I play a lot of Savage Worlds but I also own Adventurers, Barbarians of Lemuria, Honor & Intrigue, BareBones Fantasy, Covert Ops, and Beasts & Barbarians. Another game I would add to the list is Classified by Expeditious Retreat Press – essentially an update and modernisation of the excellent James Bond 007 RPG by Victory Games. 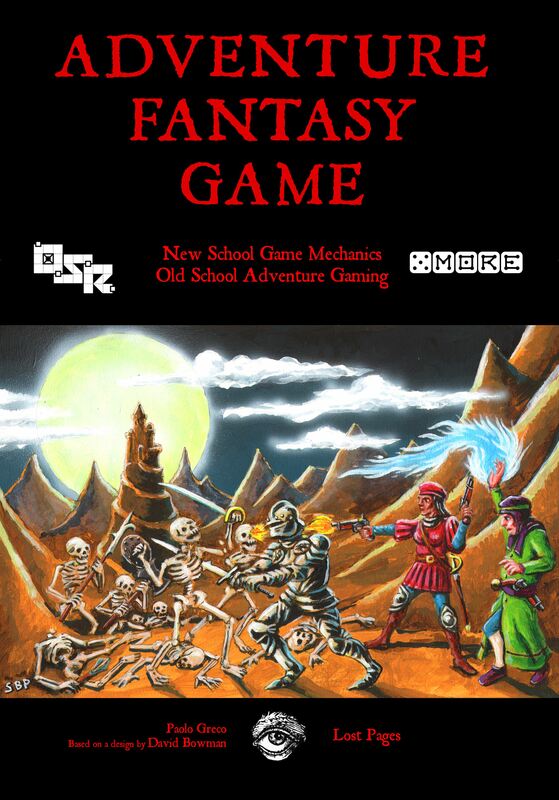 Oh, and Crimson Blades Sword & Sorcery RPG by Simon Washbourne (author of BoL). This is an awesome game that really manages to feel like Moorcocks Elric; Simon is hoping to create a retro style box set with four books further down the line, but there are a couple of PDFs available now – highly recommend getting them. Classified sits on my desk waiting to be read right now! I have not heard of Crimson Blades, I will investigate. Thank you for the tip! Got an email notification today from GRAmel that they have just published the No Happy Endings setting for Adventurers! Having just downloaded it (bringing the number of settings for Adventurers! to six if I’m not mistaken) I have to say that, once again, I’m very impressed. Yea, it is a cool little setting with a twist, like it a lot. Just ran my first adventure using “Beyond the Wall” and agree it is my new goto rule set. I ran it for 4 very experienced players and the immediately fell in love with the character playerbooks. The simplicity of the system took them a while to get used to. The warrior did miss the ability to cleve for example. BareBones Fantasy is my second favorite. The basic rules hardly fill a pamphlet but allow for a great deal of variations. that is true, there are some parts of BtW I do feel are a bit “lacking”, especially for long term play. That never really bothered me though as I mostly get to play only one shots anyway nowadays. Have you looked at Further Afield? It introduces Traits, their version of feats. It would be easy enough to create your own for features players are missing, It is a great supplement that filled a lot of “holes”. Hi I am very happy to hear that both Beasts & Barbarians and Adventurers! get some love and I want to thank Chaosmeister personally. Fans’ words are huge motivators for us to continue our job. Expect so see new stuff for both product lines out in the future! you do good work, I am happy to promote it. As long as you are writing them, I will buy them.